On my way to the Rockbund Art Museum for coffee this past Sunday, I strolled by the distinctive and imposing Christian Literature Society Building and the China Baptist Publication Building, located on the east and west of Yuanmingyuan Road (by Huqiu Lu). Standing outside the locked entrance of the former, I watched through a dusty pane as workers refurbished the interior. It is hard to escape the pervasive influence of László Hudec’s iconic work in Shanghai, especially in the Bund area and former French Concession. For the less familiar, Hudec (1893-1958) was a Hungarian-Slovak architect who lived in Shanghai from 1918 to 1945 and was responsible for some of that city’s most notable structures, ranging from neo-classicism to art deco and modern styles that came to define much of Shanghai’s architectural character. Most Shanghai residents would have come across his works – the Park Hotel, the Grand Theatre or Normandie Building just to name a few. 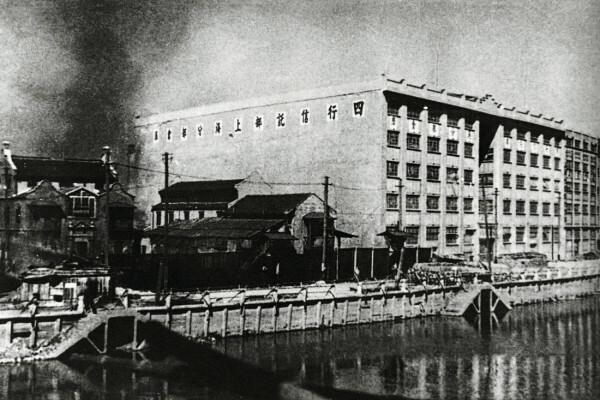 Hudec also designed the homes of Shanghai’s luminaries, including Sun Ke (Dr. Sun Yat-sen’s only son), Shanghai tycoon D.V. 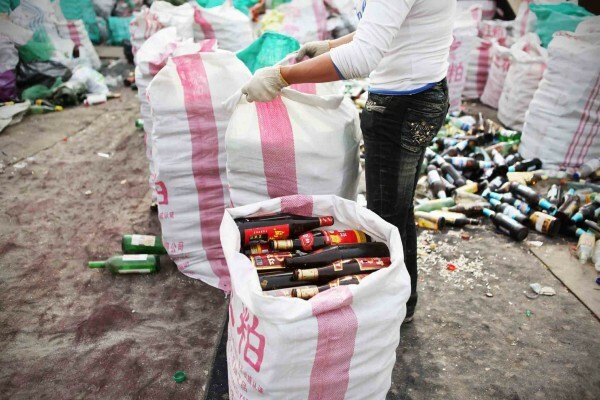 Woo and Hong Kong tycoon Sir Robert Ho Tung. 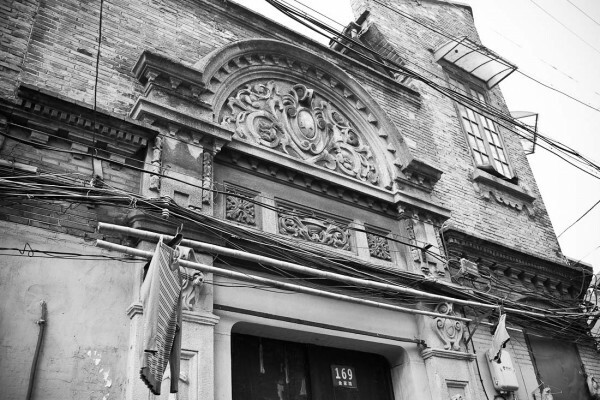 But anyone strolling along the northern Bund area would have seen the Christian Literature Society Building and the China Baptist Publication Building designed by Hudec. “The facades were decorated by acute-angel shaped lines, rolled upon the parapets. Hudec’s simplified treatment of Gothic pointed arches and pilasters revealed the influence from Germany expressionism architecture. 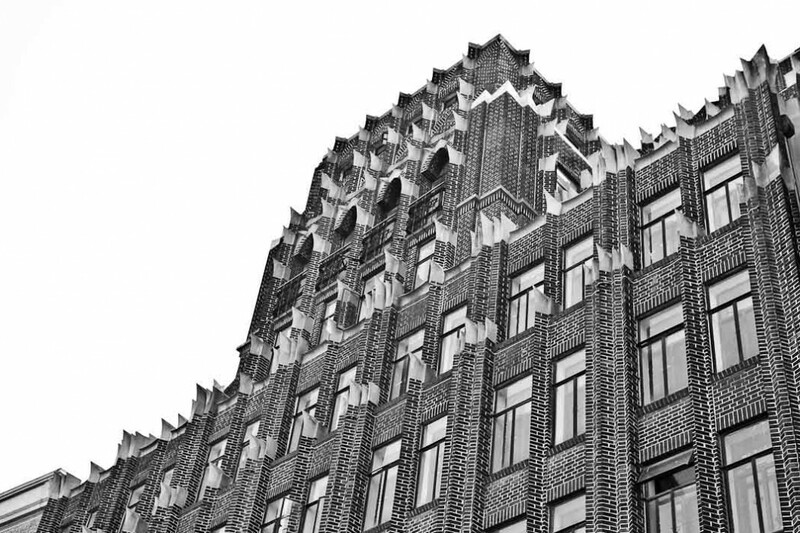 The twin buildings captured the maturity of Hudec’s own architectural style, which had taken the lead in the Gothic Revival architectural features, using tiles as wall-coating that reflected a new style. 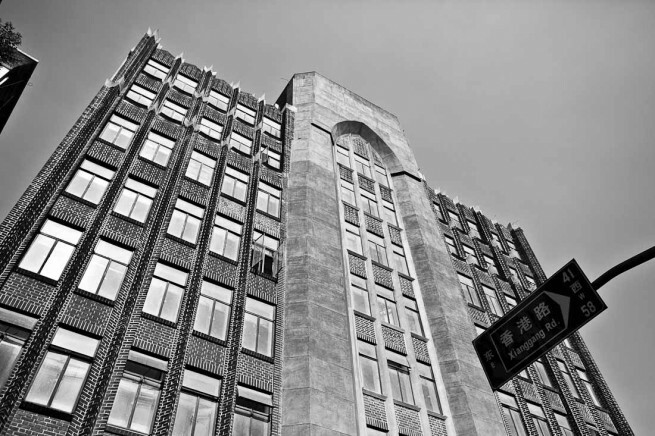 Built in 1930 and completed in 1932, Hudec’s architectural firm took up the eight floor of the Baptist Publication Building from 1932-47, while the Christian Literature Society was the first organization to introduce Western publications to China. The above tidbits of information are from the densely-packed Shanghai Hudec Architecture (上海邬达克建筑地图), a palm-sized bilingual guide to Hudec’s 27 Hudec architecture buildings with 100 images as well as walking maps and blueprints of his most iconic works. Published in January this year, the book is written by Hua Xiahong, an associate professor at the College of Architecture and Urban Planning of Tongji University, and Michelle Qiao, a columnist for Shanghai Daily. Qiao has for several years written in English wonderful articles introducing Shanghai’s various heritage architecture and landmarks. I was particularly pleased to note that my friend Xi Zi was the commissioned photographer for the book. His photos are far superior to what you see on this post. If you haven’t already, you can read my interview with him, or pick up his beautifully photographed book Shanghai Shikumen. While the English editing can be improved, this is a very user-friendly and interactive book to guide the curious and nimble, ready to a little deeper into one of the most important architects of Shanghai. The bilingual nature of the book makes it a perfect local-expat walking excursion to better under the city. Shanghai celebrated “Year of Hudec” in 2008 to commemorate his work, and I believe this book will further raise awareness and deepen interest to Hudec’s legacy in Shanghai. The book is now available for less than CNY45 on Amazon.com.cn. SAT, one of the things I’d always wanted to ask if you do…since I’d made a point of doing this sort of thing when I was still living in Europe…was to *always* look up…to glance up at the parapets, at the façades, at the rooftops, and at all the colors on display…more so that the average stroller or tourist…find yourself doing the same thing? Hi Adam, I always enjoy architectural details albeit from a pedestrian point of view, and marvel at the craftsmanship. I often wish I had more background and knowledge but it makes for very comfortable solo strolling. So clearly, you’re a patient man with an appreciation of the finer details!